Rabbi Lau says despite narrative, many more males are unable to leave marriages due to recalcitrant wives than the reverse. Ashkenazic Chief Rabbi Dovid Lau said on Sunday that there are more female 'Get' refusers than male ones, despite the prevailing narrative that suggests the contrary. Under Jewish law, a marriage cannot be dissolved unless the man consents to a get, a Jewish ritual divorce. A Get-refuser ("Get" is the Hebrew word for "divorce papers") is defined as either a man who refuses to grant a get or a woman who refuses to accept one within a month of the issuance of a ruling that a get should be given. During a meeting with Israel Prison Service Rabbis on Sunday, Lau said that "there are more female refusers than male ones. That's the truth". The Chief Rabbi blamed the media for what he said was fostering the narrative that only females cannot remarry due to recalcitrant husbands by selectively covering the issue. "The media always presents one aspect and, naturally, here too there are male refusers in prison. Female refusers have not yet arrived here and I hope that we will not have to deal with this question," said Lau. "This story is very painful. It is a story of those who use their abilities inappropriately, and hurt first and foremost themselves and the family." While the Rabbinate is allowed to jail get refusers under Israeli law, it has so far only incarcerated male refusers. In 2017, statistics released by the Chief Rabbinate surprisingly showed that more males are refused a divorce than females. 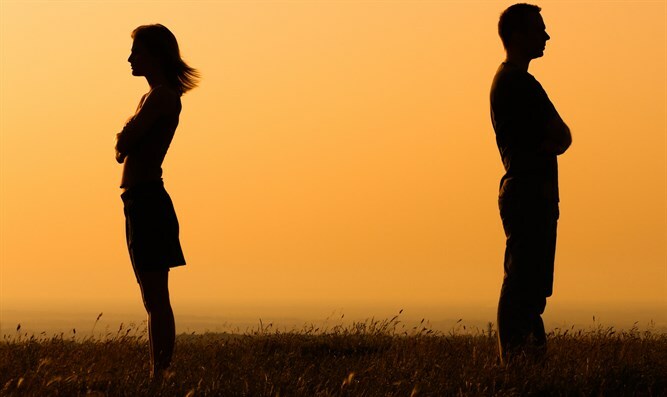 According to the records, some 56,000 couples have divorced over the past five years. In the vast majority of these cases, the Beit Din (Rabbinical Court) either succeeds in bringing about a divorce by mutual consent, or is presented with a "done deal." However, in nearly 7,000 cases, the Beit Din was forced to order a get – 3,566 against the man, and 3,384 against the woman. In all but 809 of these cases, a get was given within a month. Of those 809 cases, 382 of them involved a recalcitrant husband, while the other 427 – nearly 12% more – involved women who refused to accept a get. This flies in the face of the conventional perception that unresolved divorces are invariably the result of men holding their estranged wives "hostage" until their unreasonable demands are met. Between the years 2012 and 2015, 249 women refused a get, while 205 men did. The year 2016 saw a surprising jump in the number of unresolved divorces, caused equally by men and women: 143 by men, 142 by women. So far in 2017, 36 women and 34 men are refusing their estranged spouses' conditions.